Meet the Scrub Bugs team - aren't they cute?! A child using a scrub bug to wash the germs away. I know that as a mom of a 2 year old it can be hard to wash away the germs. 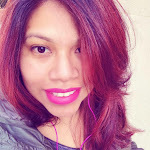 It's sort of a battle because once she gets her hands in the water it can be hard to get her out of playing with water, also the trying to spread the liquid soap on her hands can be a little hard. That's why when I found out about Scrub Bugs I got very excited. They are part of a 2 year project and labor of love from it's creator Kelly Stuart, a mom of two little girls who recognized that there was a special need in personal hygiene for kids. That's when she came up with these little buggers. They are inspired by the tools that are used by surgeons to scrub up before surgery. 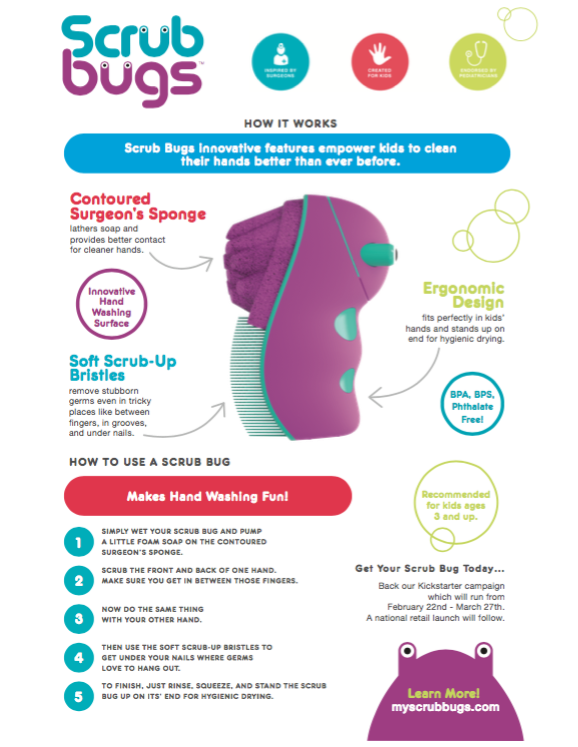 Scrub Bugs are pediatrician endorsed and proven by independent lab tests to clean hands over 3X better than ordinary hand washing. It was also proved that kids wash their hands more often, with more pressure, and for longer with Scrub Bugs. 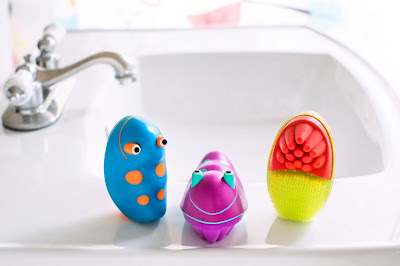 Who wouldn't want to wash their hands, just look at these buggers, they are too darn cute. I'm excited to let you know that you can help bring Scrub Bugs to the market this Spring. With your help to their Kickstarter Project found here. There are still 27 days left to their Kickstarter project and they are almost halfway through their mark. So make sure to stop by and donate with whatever amount you can. Whether it's $1-$10 Oh but just to let you know that if you donate $15 you will be able to get your very own Scrub Bug.